"We were referred to Kris through a friend and they couldn't have been more correct about how fabulous he is to have work for you. All the way through the process absolutely no pressure to buy a property, all he was concerned with was our happiness and comfort. Our schedule was not a typical 9 to 5 Monday through Friday for open houses and Kris was able to accommodate that unusual availability and made the whole search for our new property seem effortless and not daunting at all. Communication was constant but not overwhelming. We always felt like Kris was very easy to get ahold of and responded quickly to requests for additional information or a walkthrough. I can very confidently say if we ever sell this property or purchase any additional properties I would 100% contact Kris and I would encourage anyone else that I knew to give Kris Goudreau their business." "My Mom asked me to take care of the sale of her house as she is elderly and can get overwhelmed quickly. My Mom chose Kris and spoke very highly of him based on meeting him on an open house. I did talk to other agents but she was insistent on using Kris. I think she was right in her choice of agents. She saw Kris as a person not just a real-estate agent and trusted her feelings based on a life time of personal experiences to choose someone that is kind, gentle, organized and efficient. Kris worked hard and sold the unit quickly and for a good price even though the marked softened since we originally met with him late summer. At no time did we feel pressured or stressed. This was a good experience. We thank Kris for all his efforts, experience and guidance to ultimately get the common goal of selling her unit. Thank you very much Kris." "My wife and I have known Kris for a few years having met him at an open house. He immediately struck us as someone very honest. He spent a lot of time showing us properties and trying to understand what we were looking for. In this crazy market our offers always ended up failing. However Kris was very patient and understanding. He never gave up on us. He always put our interests first. He never pressured us to offer more than what we felt comfortable with. He never once gave us any “used car salesman” lines. We felt very confident in his advice. Finally we were successful in landing a deal entirely because of Kris’s great negotiating skill. Kris was very professional and took care of all the details. He also followed up with us many times after the sale to make sure we had everything we needed. In this difficult market as a buyer having the right agent is the key to success. Over the years we have got to know Kris and consider him a friend. Not only is he a very skilled agent but is truly a nice guy, honest, a great family man and has a great sense of humor. If he is willing to take you on as a client I am sure you will be as happy as we are with the outcome. Two other family members have used Kris and both with very successful results. Thank You Kris for your help, hard work and patience." "Kris is fantastic! We had such a good experience finding our first place with him. He was super patient, very knowledgeable and always seemed available whenever we had a question. He worked so hard on place after place until we found the perfect one! Thank you so much!! Will absolutely come back to Kris for all our needs and 100% recommend him!" "Kris recently sold my Townhouse and I couldn't be more pleased. Kris is a fantastic guy who went the extra mile to make everything seem less for me. I moved out of the area before selling so Kris watered plants/collected mail and many other things that you wouldn't expect, and oh ya he was able to sell the place for much more than asking. Thanks again Kris your the best. Al"
"I'm very pleased to write a positive review for Kris Goudreau. Kris is a hard working, genuine and knowledgeable realtor; he greatly helped us navigate the purchase of our first home in this challenging market. Kris worked with us tirelessly for several months to provide information, join us at showings and frankly always went the extra mile!! Even after the deal was done, he continued to provide excellent information and planning to ensure the completion and possession was completely smooth! Thanks Kris!!!" "We take this opportunity and pleasure of sharing our experience with Kris. As first time home sellers, we were confronted with certain questions on pricing, timing, and requirements. So Kris provided us informative comparative market statistics and analysis and walked us through the entire process. We immediately developed trust and confidence in him by responding straight forward to questions, providing honest opinions, advices and recommendations. The smooth and successful sale of our home was the result of his market knowledge, commitment, selling abilities, enthusiasm, proactiveness, communication skills, professionalism and reliability in dealing with the offers. He gave us that peace of mind and we were and still are very happy, and very thankful of his support. He will be again our realtor should we need one in the future and we definitely and strongly recommend him." "From the first phone call we had with Kris, he has been working non-stop until we found the place we wanted at the price we wanted to pay. He goes the extra mile for his clients, is always pleasant and very helpful. I definitely recommend Kris for your real estate needs." "I thank Kris for the hard work he did for me. My criteria was difficult, but he did it. I would recommend him any time. Very polite and trustworthy, honest." "As a first time homebuyer who decided to get into the market just as prices and demand skyrocketed, I can't say enough great things about Kris. He went above and beyond throughout my long search and managed to not only help me buy a place in my preferred neighbourhood, but also meet my checklist of demands while staying within my budget. On more than one occasion, I felt frustrated and ready to quit my search, but Kris' positive attitude convinced me to stick with it. He always had my best interests in mind and didn't hesitate to share his honest opinion - he once told me that the advice he gives clients is the same he'd give friends or family, and I believe it. I wouldn't hesitate to recommend Kris and I will certainly work with him again one day in the future. Thank you so much, Kris!" "As first-time home buyers in this current market, we knew that it wasn't going to be easy and that we would need a lot of guidance and support. Kris did that for us and so much more. He is very knowledgeable, and always addressed any questions or concerns we had as buyers. He always had our best interest as a priority and offered us great advice along the way. He is also an excellent communicator and was always able to respond to us in a timely manner. Most of all, we really appreciated his passion and dedication, which really reflects in how hard he worked to ensure he found us homes that suited our family's needs. There was a moment in this process where we really wanted to give up and I remember Kris encouraging us to keep going. He not only encouraged us but went above and beyond to find us the perfect home! Thank you Kris for all your hard work." "First time buyer. Kris was answering all of my questions BEFORE I formally became his client. Phenomenal communicator - extremely open, honest and transparent.Truly believes in the power of relationships and at no point do you feel like you're just a client. Goes above and beyond for you. Made the process as seamless as possible and really works FOR YOU. Can't thank Kris enough for all his hard work with the purchase. I'd recommend Kris to any and everyone!" "I'm really glad that Kris and I crossed paths. He helped my wife and I find the perfect investment property in this crazy real estate market we're in right now. We told him exactly what we we're looking for and he went out of his way to find it for us. The level of communication from him during the entire process was exceptional and we were never left with questions unanswered. After everything was said and done Kris followed up with us, went above and beyond, and came out of his way to our recently purchased property to take pictures of it for us so we could use them in our ad to search for tenants. This won't be the last time we cross paths." "Kris is an outstanding agent to work with, he has always shown that extra mile effort during our deal, follow ups on customer be it buyer/seller is his specialty, and that all makes the difference in my various encounter with real estate agents. You won't get wrong with Kris, recommended 100%." 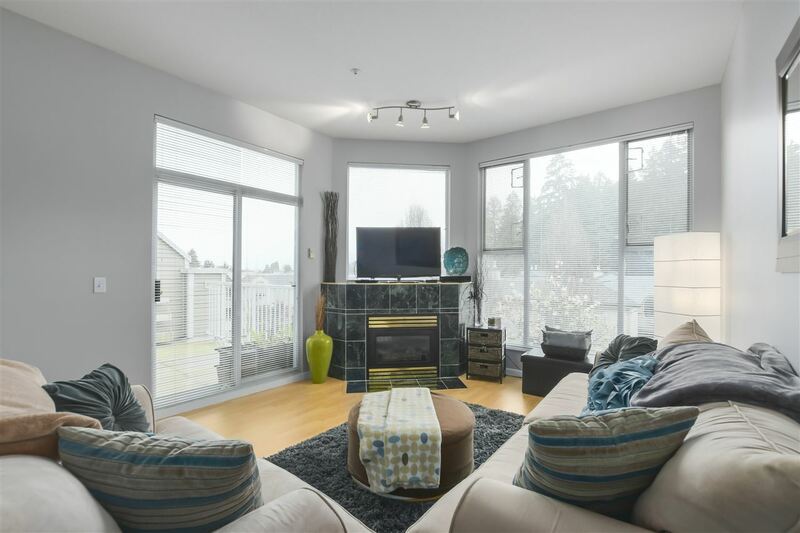 "I recently moved to the Yukon and needed to sell my apartment in New Westminster. Kris took care of everything, coordinating with flooring contractors, painters, and appliance contractors to get the place ready to sell in record time. Once all the work was taken care of, the unit was listed and an offer had been accepted within 5 days. Thank you Kris for all the hard work and expertise. I highly recommend Kris as your next realtor." "Working with Kris was fabulous. Kris pays great attention to details that you may have missed and hand holds you through the process of your real estate matters. Kris listens to your side of the story and tries to get as close, if not exactly, as you would expect. Even at a time when Kris has personal matters to take care of, he would put his customers at the utmost priority to get his client’s matters taken care of. The drive, commitment, and care, I can say with certain that you’ll have to dig very deep to find another as close, if not impossible. I know Kris is my choice for anything real estate property matters." "I am grateful to have met Kris. He handles his work in a very professional manner and has a very approachable personality. He understands the needs of a person and finds the best solutions to problems. I am pleased in thetime I have worked with him and I know I can trust him on handling my future endeavor in the real estate market. I am confident to recommend him to anyone looking for the best quality of service that everyone deserves." "Kris is a great listener and very professional. He has a strong work ethic, excellent negotiations skills, and a friendly manner that ensures you he has everyone’s best interest at heart. I would not hesitate to recommend Kris to anyone as a Realtor – he will surely listen to what your needs are and will work hard to find you the perfect home!" "Kris has proven himself to be a great problem solver who is always willing to take the extra step, searching for answers and ways to get the best results. In addition, Kris is an honest and responsible person who doesn't give up easily and always takes his work serious to meet and exceed one’s expectations. If you are looking for a trustworthy Real Estate Agent to help you with your Real Estate needs, give Kris a call. You will never regret making that phone call." "Kris is so professional, pleasant and amazing to work with! He is knowledgeable, has great attention to detail, excellent negotiation skills, and handles difficult situations very professionally. 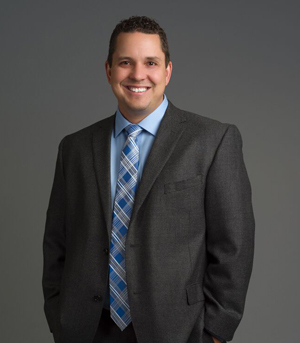 If someone asks me for a referral of a professional Realtor, I’ll definitely recommend Kris Goudreau!"